The professional clog you love now fits any type of foot with the Dansko Pepper. 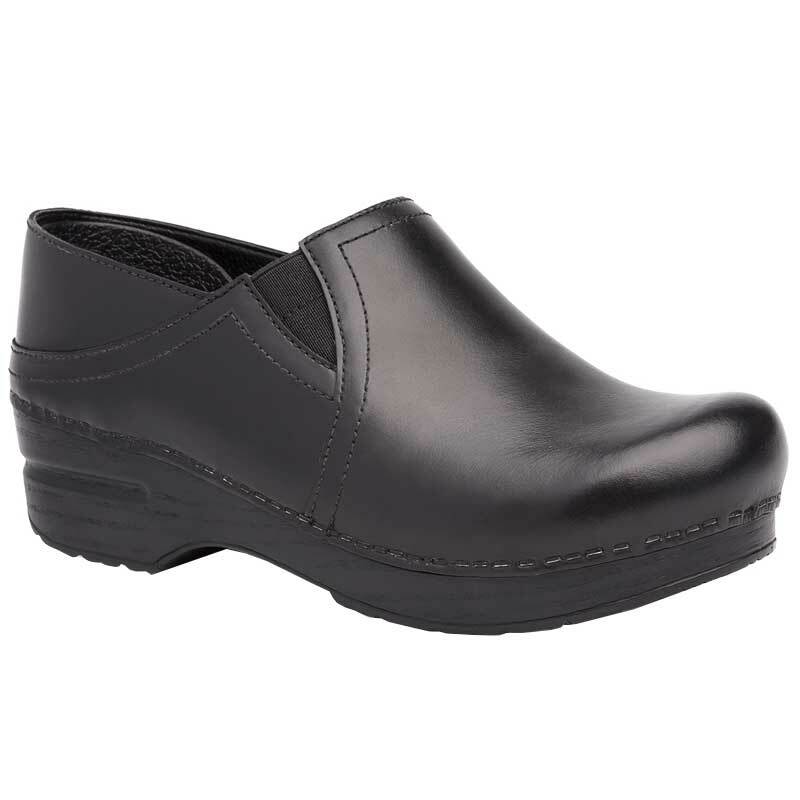 This slip-on clog has a premium leather upper with dual gore panels making it ideal for those with a higher instep. The toe box is roomy for a natural fit and the leather sock lining provides next-to-foot comfort for all day wear. A PU inner frame reduces unwanted movement in the foot for stability and the PU outsole with rocker bottom propels the foot forward. This helps you take more natural steps to avoid strain on the knees and other joints. If you’re looking for comfort, there’s no better choice than a Dansko clog.